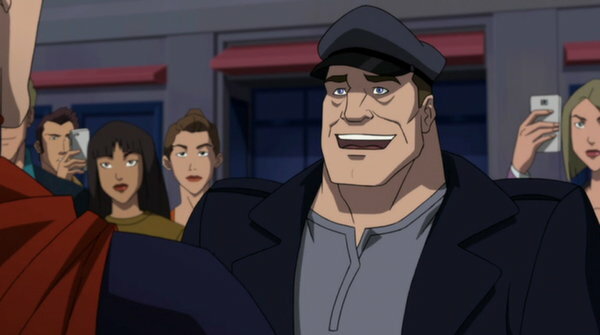 Bibbo is, of course, the rough-hewn but good-hearted sailor who turns up in the Superman family of books shortly after the Byrne reboot in the mid-1980s. He was a semi-regular member of the supporting cast for quite a while, though his funnybook appearances have declined to a far more sporadic occurrence of late. 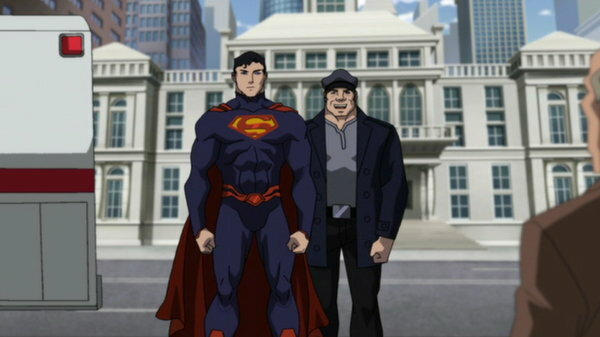 However, he’s made it into DC’s newest attempt at adapting the “Death of Superman” to animation, in the aptly-named DVD/Blu-ray/digital release The Death of Superman . Now, as compared to the original animated movie (discussed on this very website a mind-staggering eleven years ago), it hews much closer to the original comics, though seen through the lens of DC’s semi-New 52-ish continuity they’ve been painting onto these direct-to-home-video releases over the last few years. And this is probably the closest we’re going to get to whatever the New 52/Rebirth version of “Death of Superman” is, as it apparently existed in the new continuity (and was referenced in this interminable storyline that I don’t remember anything about aside from the terrible cover designs). 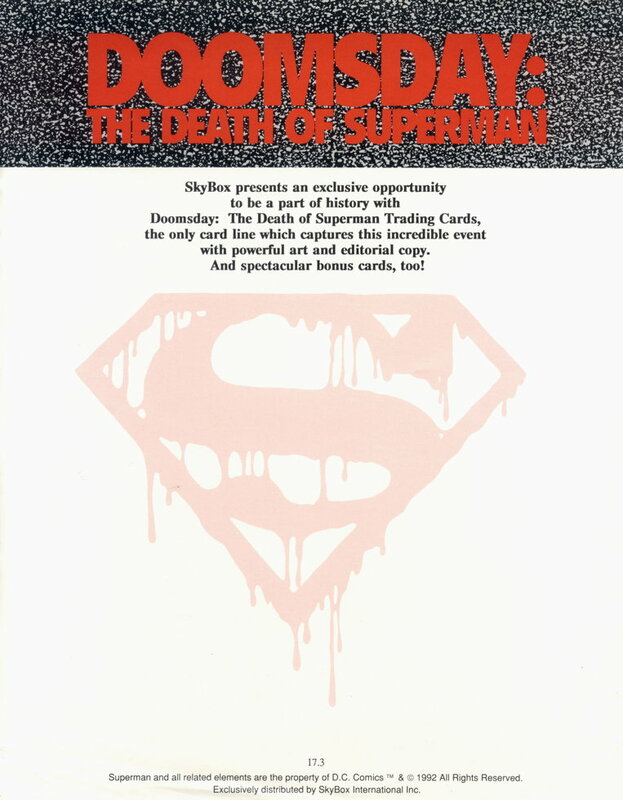 Of course, now with the merging of the post-Byrne/pre-Flashpoint Superman with the New 52/Rebirth continuity, the original “Death of Superman” story is probably back in play, more or less, and…ugh, look, don’t get me started. Anyway, this new cartoon corrects the main error of the original cartoon adaptation, in that Superman dies (um, SPOILER?) and is just straight up gone until the next movie eventually rolls around sometime in 2019, as opposed to his being gone for a few minutes in that first cartoon and then popping back up again. 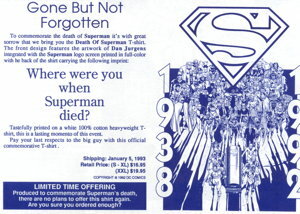 So yes, there will be at least the real world illusion of Superman being “gone” as we all patiently await the sequel. 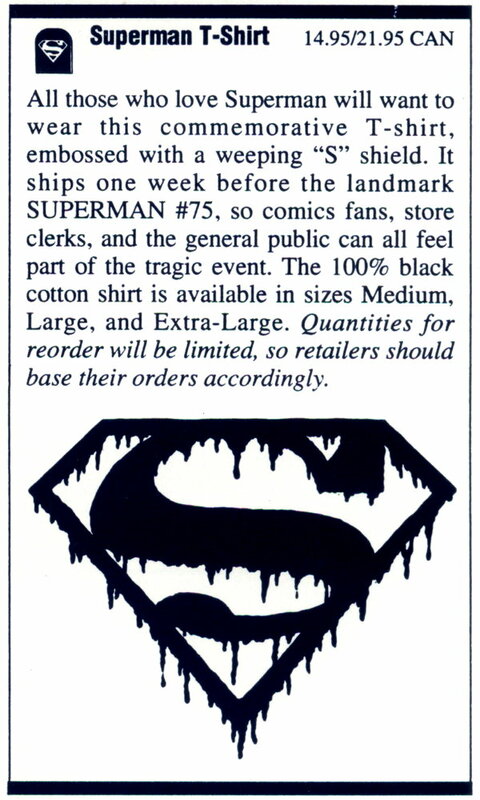 Not quite as effect as with the actual comic book event, where the Superman books continuied without any Superman in them, and even that brief hiatus in publishing his titles for that summer…quite the shocking turn of events after being used to weekly installments for the character. …and with any luck maybe the payoff of the sequel will be Superman’s return to his classic costume. It’s so much of Its Time, and will only be remembered when people look back at this era of comics entertainment and say “man, remember that lame costume Superman was in? Who approved that idea?” It’s the Superman mullet of the modern day. Though it would be hilarious if the mullet shows up in the sequel. Would be comics-accurate, after all! Despite all that, the costume isn’t that much of a distraction. Superman’s innate heroism shines through the story, and that’s the important bit. The movie is very action-packed, though with sufficient character moments to keep it from being entirely a brutal slugfest. And speaking of that, the cartoon certainly conveys just how brutal the battle is, and how outmatched all the rest of the Justice League is in their own attempts at slowing down Doomsday. Overall, a nicely done film, I thought, and I look forward to the follow-up. But…in that one impact, where Superman slams into Doomsday with Lois Lane standing right there…I mean, that should’ve killed Lois, right? All those shockwaves they showeed and such? Lois was pretty much right there at the point of impact. …Anyway, nitpicking. The special features are…okay, I guess. I think I was hoping for more background on the actual original event in the documentary, which you get a little of, but mostly it’s talk about the film and adaptation of the story elements from the original comics. Lots of Jon Bogdanove in there. 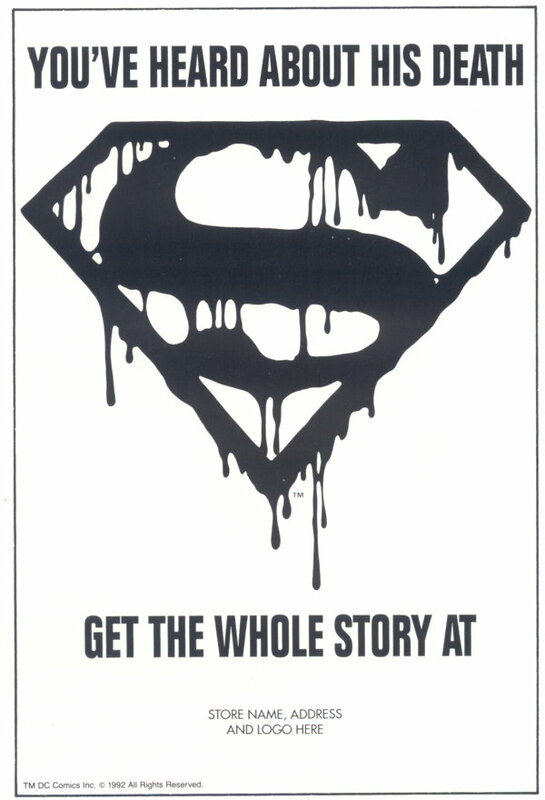 And I suppose the doc on the first Doomsday DVD kinda covered the comics end of things sufficiently. You also get a preview of the next movie, the one with all the faux Supermen in it, and you get a couple of Legion of Super-Heroes episodes from the TV series, featuring those weird redesigns I didn’t care for. Where was I? Behind the counter selling the darn comics, or managing the giant line of customers snaking through the store, that’s where I was. 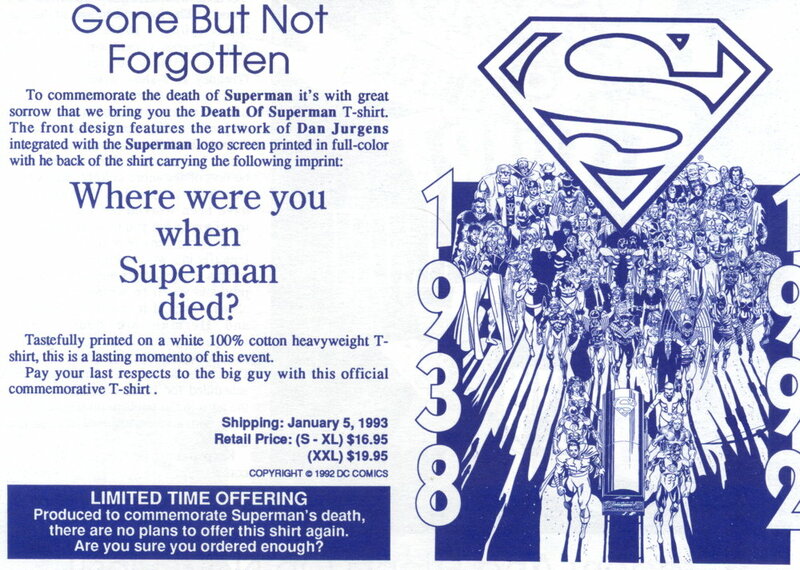 I seem to remember ordering ten times our normal Superman numbers on this…”that should be more than enough,” we thought. So there you go, more Death of Superman stuff than you can possibly stand, the latest installment in a long line of me talking about the same damn thing over and over again. 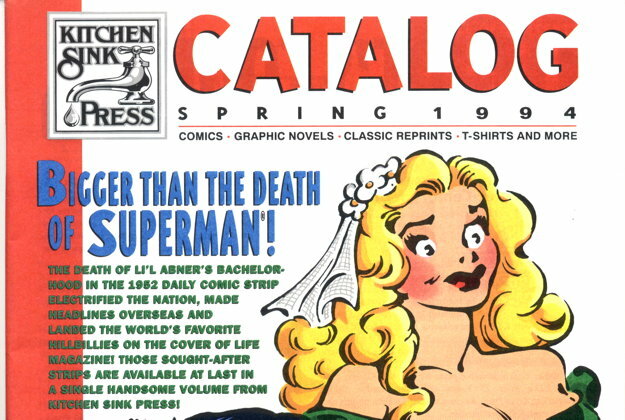 But of course I’ll talk about it again when that second “Death of Superman” cartoon finally comes out, so get ready for that! Besides, what else am I going to talk about? I said ‘wait, what? !’ out loud to an otherwise empty room when Luthor Jr. made his ‘cameo’ in the new adaptation. Genuinely thought they were going for it, in explicably, if only for an instant. 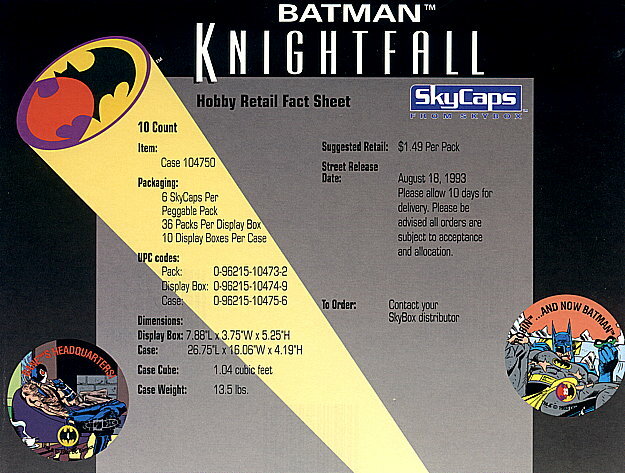 I actually would like to hear your thoughts on the whole Knightfall/Quest/End saga if you haven’t already done so. 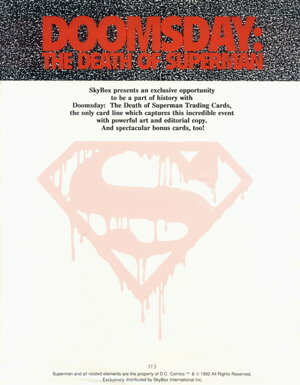 Aside from the actual Death of Superman storyline, that was a strange time for the Superman comics. I mean, Luthor is masquerading as his own Australian son, Brainiac is a brainwashed circus strongman, Supergirl is an other-dimensional protoplasmic blob, and one of Superman’s friends is a Popeye knockoff. What is the thematic significance of any of that? The Byrne revamp of the Super-books had its problems, but the post-Byrne era was just weird. You mentioned John Bogandove, which made me think of something I’ve wondered about for quite awhile. His art seems to be disliked by a large number of fans, at least that’s the impression I’ve always gotten from responses I’ve seen online. I’ve always enjoyed his work, it has a life and vitality to it that many artist seem incapable of achieving. I never followed him on a monthly series, but I’m always happily surprised when I run across his work. His work seems criminally underrated. Is this a misconception on my part? As always, thanks for the interesting posts!